Why are Satan’s evil forces attacking God’s work so much, judging God’s work so? Why are the evil forces of the great red dragon frenziedly attacking and condemning God, and oppressing His church? Why do all evil forces belonging to Satan, including the antichrist groups within religious circles, condemn Almighty God? It is because Satan knows that its end is near, that God has already gained His kingdom and the kingdom has arrived on earth, and that it shall immediately perish if it does not engage in a decisive battle with God. Have you grasped this fact? 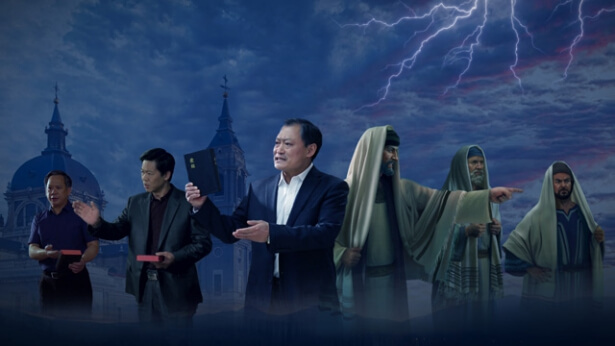 Once they have heard the Chinese Communist government’s frenzied condemnations of the work of Almighty God, many confused people think that this could not possibly be the true way. Once they have seen the widespread condemnation from the pastors and elders of religious circles, they think that this is surely not the true way. In what ways are these people confused? Are they able to see through the dark and evil essence of the world? The Bible states, “And the light shines in darkness; and the darkness comprehended it not” (Jhn 1:5). Do they truly understand these words? “The whole world lies in wickedness” (1Jn 5:19). Can they comprehend the true meaning of these words? They are unable to see through anything. They think that if this were the true way, if God had arrived, then the Chinese government should be welcoming, religious circles should be welcoming, and only then could it be the true way. What kind of logic is this? Is this not the logic of Satan? 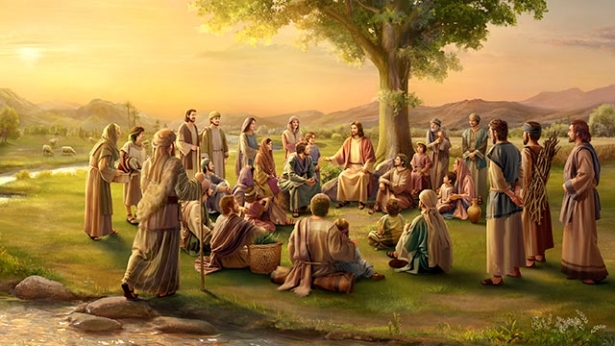 When some people investigate the work of God, they first look at whether the world welcomes and approves of The Church of Almighty God, Eastern Lightning, and whether religious circles welcome and approve of it. “Only if the world is welcoming, and particularly, if the CCP government declares that it is the true way, can we believe in it. If all the pastors and elders from religious circles declare that this is the true way, that this is the return of the Lord Jesus, only then can we accept it.” Are there many confused people like this? Some people, just as they are on the verge of expending themselves for God, the great red dragon, Satan, comes to test them: “The Church of Almighty God kidnaps people. If you believe in Almighty God, then you won’t be able to leave, otherwise they will gouge out your eyes, cut off your ears, and break your legs.” Tell me, if this truly were the case, how many people across the world would already have their eyes gouged out and their ears cut off? Have you seen even one such case? Of all the people who have expended themselves for God, have you seen any who was forced to do so because they were kidnapped and couldn’t leave? If they truly had been kidnapped, would their work and their preaching be effective? Anyone with a brain would ponder this and think: “That’s right. This is a rumor made up by the CCP, a lie told by the CCP. The devil Satan is really good at spreading rumors—how come I didn’t see the truth?” Some people do not believe these words of the great red dragon, while others are frightened and no longer dare to expend themselves for God when they hear these things. “I can no longer dedicate myself to this. It’s dangerous; I could lose my life!” Then, they retreat. Do these people possess the ability of understanding? They do not; they lack discernment. Some also say: “I see that the words of Almighty God are the words of God, that they are the voice of God. I have basically determined that the words of Almighty God are the truth, but what is this organization, The Church of Almighty God? I haven’t fully looked into this—I don’t have an understanding of this church. Are they actually capable of kidnapping people? If they kidnapped me, would they gouge out my eyes and cut off my ears?” This is where their confusion lies. They say: “I can’t join them. What if they did gouge out my eyes and cut off my ears? Wouldn’t I be disabled for life? The Church of Almighty God is still an unknown quantity for me; I don’t have an understanding of it. However, I have basically been certain about Almighty God’s words. They are the voice of God, and they possess the truth.” They are very careful in their examination: First they examine the words of Almighty God to see if they are God’s words. Once they accept that they truly are the words of God, then they further look into whether The Church of Almighty God is a real church. They think: “Wouldn’t it be problematic if The Church of Almighty God were a criminal organization but the words of Almighty God are real?” Would you say that that is even possible? If that were the case, then The Church of Almighty God would not be a true church. If things were as they imagined, that The Church of Almighty God that is spreading God’s words and bearing witness for Almighty God is a human organization, but doesn’t consist of people belonging to God, then wouldn’t the work of Almighty God just be a sham? Then who are preaching and bearing witness to God’s words? Who are bearing witness for Almighty God? How could God allow people from a criminal organization, an organization of human beings, to exalt Him and bear witness for Him? Would that not be a humiliation of God? Could God humiliate Himself? Some people are unable to see through this matter. They have acknowledged the words of God, yet they are unable to see clearly what kind of church The Church of Almighty God really is—they do not dare to believe in it. They are thinking: “I don’t want to be in contact with you people. What would I do if you kidnapped me?” These people cannot come close to comparing with those saints who have martyred themselves for the Lord through the ages. When the Lord Jesus sent those saints out to preach, it was like throwing sheep into a pack of wolves, yet they all dared to go. Now these people clearly know the words of Almighty God are the truth and the voice of God, but are timid and fearful, not daring to come into contact with The Church of Almighty God because of rumors. Isn’t this disappointing to God? People’s pathetic faith, people listening to and believing the devil Satan are tragedies of mankind. Adam and Eve were quite happy in the Garden of Eden, obeying God and heeding God’s voice, but what caused them to sin in the end? After God had spoken to them, Satan said a few words to tempt them—they believed in those words and then committed sins. They were immediately cut off from God—God no longer spoke to them, and He hid His face from them. Is this not a tragedy of humanity? After listening to the words of Almighty God, quite a few people say, “Oh, this is truly the voice of God; this is really the truth. These words are so practical, there were not so many words uttered during the work of the Lord Jesus.” It’s as if they have once again returned to the embrace of God in the blink of an eye—they feel blissful and content. 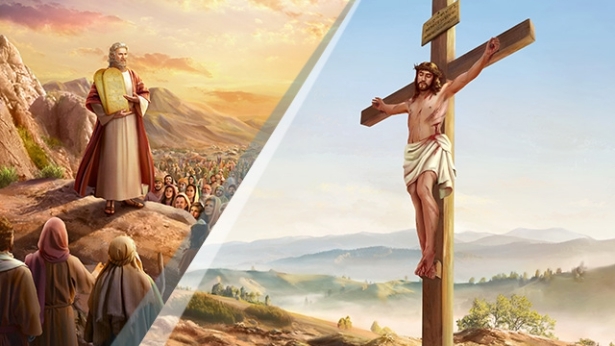 Who would have thought that Satan’s temptation should come at this very moment: “Have you heard of Eastern Lightning? It is a criminal organization. If you do not believe in the gospel that they preach, they will gouge out your eyes and cut off your ears. They are horrible! If you come into contact with them, you must be careful. No matter what, don’t fall into their trap.” This temptation from Satan deludes and controls them, so they no longer dare to expend themselves for God. This is called “being clever your entire life, but ruined by a moment of foolishness.” They don’t consider whether there is a single case of someone having their eyes gouged out and ears cut off in all of mainland China. If there ever had been, would the CCP ever relent? It would have mobilized the entire media to announce it to the entire world, and they would have thrown everything spreading the news for days. But not even one such case can be found—it is sheer fiction. The CCP never gives up any opportunities in doing such things, yet those tempted by Satan do not recognize it for what it truly is. They are unable to see through all the evil that the CCP has committed for so many years, all the terrible things that it has done. There is not one single grain of truth in the things said by the CCP media, yet these people are unable to see through this. Some people ask why the CCP government has labelled Eastern Lightning as a cult. As we all know, the CCP is an atheist party. It resists God and hates the truth more than any other. It has determined all churches and groups that believe in the true God as evil cults and has openly declared that the Bible is an evil cult book. This is a recognized fact. How could we be unaware of this? Besides, haven’t we suffered enough persecution for believing in the Lord Jesus over all these years? Have there not been enough preachers and Christians persecuted to death and imprisoned by them? How can we still listen to the rumors of the CCP government? When it comes to differentiating between cults and good religions, it can’t be differentiated by however some political party or person wants to differentiate it, and moreover it cannot be determined by some country or its national constitution. A good religion is regarded as a positive thing of benefit to mankind. Cults are regarded as negative things that corrupt mankind. If we want to determine whether a church is a good religion or an evil cult, it should be based on whether it is a positive or negative thing. Churches that come from God and are formed from God’s work are good religions. All those that come from Satan and the work of evil spirits are regarded as evil cults. The CCP government is regarded as a satanic regime that most resists God and hates the truth. The CCP is the true evil cult. It doesn’t have the right to comment on belief in God, and moreover is not qualified to condemn any group or church with religious beliefs. Some people follow the CCP in condemning Eastern Lightning as a cult because the CCP government persecutes Eastern Lightning more fiercely than any other denomination. Does this viewpoint accord with the truth? The CCP satanic regime’s crackdown of Eastern Lightning is most severe, most outrageous. This is enough to show that the CCP is most afraid of truth and despises God the most. Over these years, Chinese house churches and underground churches have continued to be condemned, persecuted and hunted by the CCP regime. Are we to deny that the Lord Jesus is the true God and true way because of this? We have believed in God for many years. Can we not see through this? The CCP has always twisted the truth and inverted right and wrong. This is the substance of Satan the devil. Can we still not differentiate between a good religion and an evil cult? All churches that believe in the true God are good religions. All those that believe in false gods, evil spirits, or Satan the devil are all evil cults. All those that advocate God-denying, God-resisting heresies such as atheism and evolution are all evil cults. Now, Eastern Lightning is what is being most furiously condemned and cracked down on by the CCP. The whole world can see this very clearly. If we really can distinguish, we can be certain what is the true way from seeing what the satanic regime most opposes and loathes. The CCP most loathes the truth and most fears people accepting the truth. That is why it is so furiously resisting God. In the last days, only Almighty God is expressing truths to save mankind, only Almighty God is doing the work of saving and cleansing mankind. Is this not a fact? This way, we can see why the CCP most loathes The Church of Almighty God and most resists God. All those awaiting the Lord’s appearance should open their eyes and see just who is performing judgment work in the last days! Is it easy for man to gain the truth? If someone cannot make sense of an issue they encounter, it’s because they do not possess the truth. If someone is able to make sense of the things they encounter, if nothing impacts their following or worship of God, then they possess the truth. If when something happens to you, you become passive, you develop notions, if you doubt God, or if you are capable of betraying God, then you do not possess the truth. You will not be able to make sense of anything that happens to you, for you are blind and have no knowledge of God! Those that do not know God have too many troubles, right? Aren’t those that do not know God difficult to deal with? Are people who have no knowledge of God able to follow Him until the end? That would be no easy task! Those who lack knowledge of God may oppose, deny, or betray Him at any time. The danger of them betraying God is 100%! Are you currently in danger of betraying God? All of you are in danger of doing this, right? You must approach everything in a principled way, and understanding and knowing God is no simple matter. If you do not understand God, if you have no knowledge of Him, you will be susceptible to believing Satan’s lies. What do we call those who believe whatever the great red dragon says, or whatever the religious circles say? Fools! Where do those words come from? They come from the mouth of the devil, and yet you still believe in them. Aren’t you foolish? You have fallen into Satan’s trap—Satan has cast a spell over you. If you do not believe in the word of God, if you do not believe in the holiness and righteousness of God, if you do not believe that God is the truth but instead believe in the words of Satan, this is called being blind! Is it not God who you believe in? If you believe that Satan’s words are true, that they are viable, that they are believable, then who is it that you actually believe in, God or Satan? Couldn’t one say that you nominally believe in God, but in reality what you most believe in from your heart is still Satan? Do you all believe that any truth can come from the mouth of Satan? You all say you don’t believe. So how can we explain this reality? Someone says “You can’t make a silk purse out of a sow’s ear.” That is an apt saying. Once you’ve really understood the meaning of this, you will know that any truth can never be uttered from the mouth of Satan. There are some people who only understand doctrines, which are of no use here, for as soon as Satan says something they will believe it again: “Hey! That could be true!” Then they’re doomed! “You can’t make a silk purse out of a sow’s ear.” Truths can never come out of the mouth of Satan. Anything from Satan’s mouth will always be lies and rumors; it will always falsely accuse, distort, defame, and slander positive things! Do you believe this to be true? If many people start to slander, spread rumors about, and falsely accuse The Church of Almighty God again, what will you do? Will you be able to see that these are all nothing but lies, will you be able to ignore everything they say, will you be able to reject it in your hearts? You must be able to reject these things. Whatever you hear, you need to first gain clarity on where these words come from. If they are words spoken from the mouth of God, then they are the truth. If they are words spoken by the man used by the Holy Spirit, then they are credible. If they are words spoken by a nonbeliever, by religious people, or by the great red dragon, then they are not credible. You must reject them outright; do not accept them. Even if they’re just a little on the mark, they are still words that distort facts, and words of false accusations and defamation. How do you all feel about the “Zhaoyuan incident?” This was the great red dragon trying to frame, defame and entrap The Church of Almighty God. The people involved simply did not believe in Almighty God. Some among them were teamed up with a false Christ; they believed in a false Christ and particularly opposed the house of God. Those people are antithetical to the house of God. They belong to evil spirits. How could they be considered part of The Church of Almighty God? They simply were not a part of The Church of Almighty God, and none in the house of God would acknowledge them. Everything is determined by whether or not someone actually has true knowledge and understanding of God. If all you grasp is just some basic doctrine that will be useless; it cannot take the place of true knowledge of God. Only by having true knowledge and understanding of God will you be able to not fall for Satan’s tricks, and only then will you be able to reject all of Satan’s lies. Only then will you be able to triumph over Satan’s temptations. Previous：Question 38: Almighty God, Christ of the last days, expresses the truth and does His work of judgment to purify and save mankind, and yet He suffers the mad opposition and brutal crackdowns of both the religious world and the Chinese Communist government. The CCP government even mobilizes its entire media and armed forces to condemn Christ, blaspheme Him, capture and exterminate Him. When the Lord Jesus was born, King Herod heard that “the King of Israel” had been born and he had all the male children under two years of age in Bethlehem killed; he preferred to wrongly murder ten thousand babies than allow Christ to live. God has become flesh in order to save mankind, so why is it that the religious world and the atheist Chinese government madly condemn and blaspheme the appearance and work of God? Why do they bend the power of the entire country and spare no effort to nail Christ to the cross? Why is mankind so evil? Why do they hate God so and set themselves against Him?